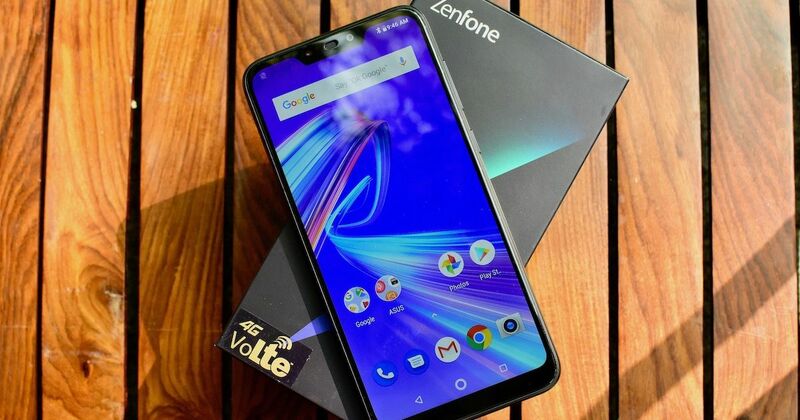 The ASUS ZenFone Max M2 (first impressions) has arrived in the market riding on the success of its well-appreciated predecessor. Above anything, this phone guarantees bountiful backup thanks to its incorporation of a massive 4000mAh power pack. This, coupled with its impressive internals and a drool-worthy price tag of Rs 9,999 make it the phone to beat in the budget segment. Among its many competitors is the Honor 8C (first impressions), which too impresses with a large 4,000mAh battery and a strong list of other specifications. Starting at Rs 11,999, it’s a good Rs 2,000 more expensive than the ASUS phone. But which one between the two should you direct your money towards? Take a look at this detailed comparison to help you arrive at a decision. As you know, notches are all the rage in the budget segment these days, so it’s no surprise that they’ve made their way onto both these devices. This allows them to offer seamless full-screen displays, but you will indeed notice that the bezels on these phones are slightly thicker than usual. They even have noticeable chins down at the bottom. In terms of ports, you’ll find the older-gen micro-USB 2.0 sockets on both devices, along with headphone jacks and dedicated microSD card slots. As far as build quality is concerned, the ZenFone Max Pro M2 definitely feels like a more premium device among the two due to its incorporation of a metal back. The Honor 8C adopts a plastic body, which although looks pleasing to the eye, isn’t quite impressive in terms of the overall feel it provides. Their rear surfaces are adorned by dual cameras and fingerprint scanners. Practically, the same display has made its way into both these phones. It’s a 6.23-inch IPS LCD panel with an HD+ resolution of 720 x 1520 pixels. One more thing that’s common between these devices is the Snapdragon 632 chipset under the hood. It offers the benefits of a 1.8GHz octa-core CPU and an Adreno 506 GPU. The ASUS ZenFone Max M2 is available in two variants of 3GB RAM and 32GB storage as well as 4GB RAM and 64GB storage. As for the Honor 8C, it comes with 4GB of RAM on both its 32GB and 64GB storage variants. As we said earlier, you can expand the storage thanks to the presence of dedicated microSD card slots on both these phones. The ASUS ZenFone Max M2 ships with Android 8.1 Oreo. This software bears a stock-like interface and only a few bloatware apps. What’s impressive is that there’s facial recognition as an added security feature. This trait is also present on the Android 8.1 Oreo-based EMUI software of the Honor 8C. Some of the other highlights of this ROM include Wi-Fi bridge support, an eye-care mode, a gaming mode and more. It is to be noted that both these phones come equipped with camera-focused AI features. In the camera department, things are pretty much the same for these two handsets. They grab 13MP + 2MP snappers on the back, and an 8MP camera with soft light flash on their front faces. Their rear cameras come with AI-based scene recognition tech, wide f/1.8 apertures and of course, portrait modes. 4,000mAh batteries have gone inside both these phones, ensuring a backup of up to two days, if the phones are used moderately. Only 10W fast charging is present on these two devices. The ASUS ZenFone Max M2 and the Honor 8C have more things in common than you would’ve expected. They run on the same hardware, grab the same camera setup, feature the same 4,000mAh battery and even hold the same display on their fronts. It’s really their software and the external design that differentiates them from each other. So the fact that the ASUS handset is Rs 2,000 cheaper than the 8C definitely means going for the former will be wiser.